Although the books are set in the Upper Midwest during the late nineteenth century, depicting the author’s childhood on the prairie, only one episode in the entire series mentions the temperance cause. As a teen-ager in Dakota Territory, Laura takes a job sewing shirts to boost family finances. One day, she sees two intoxicated men come out of a saloon and walk the length of the street, singing and kicking their legs through the screen door of each establishment they pass, before entering the second saloon in town. Laura finds the scene hilarious, but the older woman for whom she works scolds her firmly for laughing. At home that evening, Laura recounts the incident for the benefit of her blind sister Mary, but neither Mary nor their mother, “Ma,” find it amusing. Laura Ingalls as the model of feminine respectability. Recent scholarship on the Little House books has demonstrated the extent to which Wilder fictionalized her experiences. 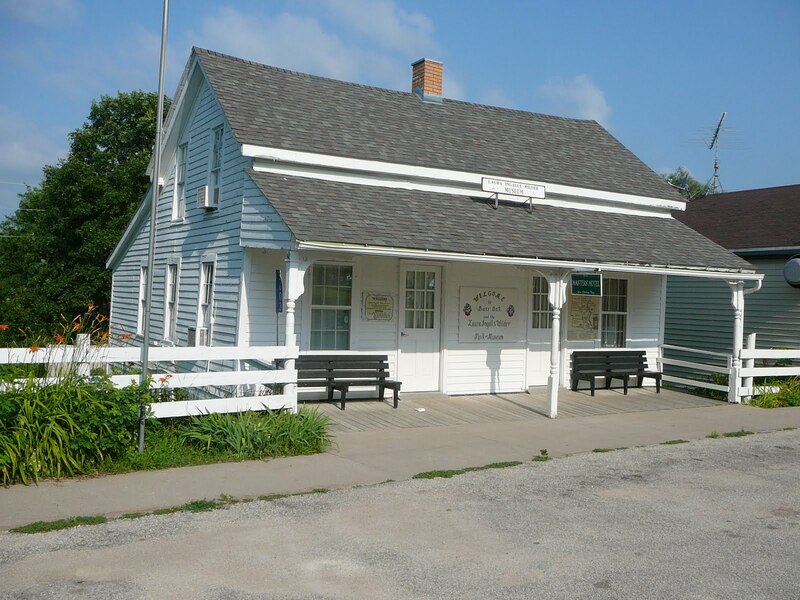 In fact, the real Laura Ingalls had contact with the saloon milieu when the family helped manage a hotel that stood at a busy crossroads in Iowa. Young Laura washed dishes and waited on tables when she was barely ten years old. 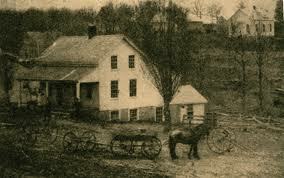 For a while, the family lived in the hotel itself, then moved to an apartment that was adjacent to a saloon, a very different setting from their farm. Although Laura did not work in the saloon as such, the proximity and permeability of these spaces made the Ingalls deeply uncomfortable, and the fact of Laura’s servitude to strangers in the public setting of the hotel threatened the family’s reputation even if not her physical safety. Unhappy with the noise, vulgarity, and risk of drunken violence that they faced in these lodgings, the family moved to a small home nearby, and within a year they moved on, ultimately to Dakota Territory in 1879. The Masters Hotel in Iowa where young Laura waited on tables. Significantly, the Iowa period is not simply excluded from the books, but actively denied. Debating how the teen-aged Laura might earn money for the family, Ma says she does not want Laura “working out in a hotel among all kinds of strangers.” Pa responds indignantly to the very suggestion. “‘Who said such a thing?’ Pa demanded. ‘No girl of ours’ll do that, not while I’m alive and kicking.’” The fictional Pa exercises the very patriarchal authority and protection that the real-life Charles Ingalls was not able to maintain due to economic constraints. The family’s poverty may well have made their claim to respectability all the more urgent. Wilder’s authorial decision to leave out the Burr Oak period and to frame Laura’s paid work in this fashion shows how deeply entrenched were ideas about gender, temperance, and propriety, even into the 1940s when this book was published. The Masters Hotel today, open to visitors as a museum. 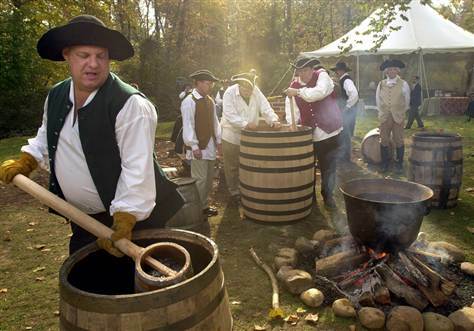 Today, the Masters Hotel in Burr Oak, Iowa, where the Ingalls family lived and worked, is open to tourists. The community is proud of their link with the Ingalls family and their restoration effort. The connections that Ma discerned between hotel and saloon may have faded in our collective memory, and her concern with decorum may now seem rigidly old-fashioned. As with the brothel museums in Alaska, the sharp edges of a nineteenth-century drinking culture can be dulled through a lens of nostalgia or a vague sense of “Old-Timey” charm. But what struck me in actually seeing the Masters Hotel was how small and intimate the spaces were, and how vulnerable a young girl could be as a result. Maybe Ma was right after all. 1. 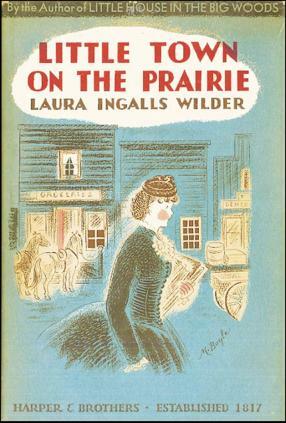 Laura Ingalls Wilder, Little Town on the Prairie (New York: Harper & Brothers, 1941), pp. 51-55. 2. Wilder described this period in her family’s life in her unpublished first-person autobiography, “Pioneer Girl,” which she wrote before the Little House books and which is currently held at the Herbert Hoover Presidential Library. Biographers and literary critics have drawn on that manuscript in recent years. See especially the work of William Anderson, including his Laura Ingalls Wilder: A Biography (New York: HarperCollins Publishers, 1992). 3. Wilder, Little Town on the Prairie, pp. 1-2.